The following day – the first of the New Year – impeached president Park Geun-hye suprised South Koreans when she invited journalists to an informal meeting and gave a rather long talk in which she denied any wrongdoings and attributed any faults to the media’s manipulative sensationalism and peoples’ misunderstanding. Many interpreted her shameless excuses as a maneuver in responds to Constitutional Court proceedings and the extensive investigation by the Special Prosecution. Since Park’s impeachment on December 9, prime minister Hwang Gyo-an has led the government as acting president. He has shown no intention of changing Park’s conservative policies, which has invoked widespread criticisms. At the moment, Hwang’s government seems to be barely hanging on. The ruling Saenuri Party has split. After suffering defeat in the election for the party’s parliamentary leader, the dissident anti-Park faction, involving 30 MPs, formed a new party, the Reform Conservative New Party. The MPs claim that any internal party reform had become impossible. Meanwhile, with the unrepentant pro-Park faction refusing to give up control over the party apparatus, the new leadership of the Saenuri Party is now in a civil war-like dispute over its so-called reform plan. Thus, with the government barely functioning and the ruling party in deep crisis, the hearings of the National Assembly failed to call up key witnesses like Choi Soon-shil. Many witnesses have refused to tell the truth, further fueling popular indignation. The extensive investigations by the Special Prosecution have touched every aspect of the charges involved in Choi-Park Gate. The investigators and prosecutors are working around the clock, revealing new evidence of horrendous crimes each day and garnering popular support. Though it is still too early to know the final results of the investigation, thorough and strict investigation is expected to expose more ugly crimes. Following the National Assembly’s vote in favor of impeachment (234 to 56 against), the scale of protests was expected to dwindle. However, consecutive weekend protests continued: on December 10, a day after the impeachment, 1,040,000 gathered; on December 17, 770,000 protested; and on December 24, Christmas Eve, 700,000. Finally, on December 31, 1,000,000 joined the protest and celebration. The historic protest movement culminated in the 1.9 million-strong mobilization on November 26 and the 2.32 million-strong protest on December 3, which put tremendous pressure on Park and the National Assembly. After Park’s impeachment, a new demand was added: the Constitutional Court should carry out a swift and fair investigation. According to a recent poll, 74.2 percent support impeachment against 18.2 percent who oppose it. Another poll showed that 70.2 percent of respondents want Park to resign immediately regardless of the Constitutional Court’s verdict, while 29 percent prefer to wait for the verdict. Though in a lot smaller numbers, the pro-Park forces have also mobilized tens of thousands of people, especially following the impeachment vote. Anti-impeachment protests were organized as counter-mobilizations, and so-called protesters were mostly old people and far-right extremists. In contrast to the candlelight protests, the symbol of the pro-Park counter-mobilizations is the national flag. Their signs say that they love Park and that the candlelight protests are controlled by North Korea. Some have urged the military to step in and initiate a military coup. These groundless smear campaigns have been ignored by the media and ridiculed by popular opinions. This reactionary activism has strong links to the government, especially the security and intelligence institutions. Some documents from the presidency show that the president and her advisors looked favorable upon on the ultra-right protesters, which are notorious for attacking social movements as pro-North Korean stooges. The government frequently used them as a means to manipulate public opinion. Thus, the counter-mobilization attempted to create an image of a left/right confrontation, but their campaign of exaggerations and falsifications has had little appeal. Instead, ugly reactionary over-reactions and foul language has invoked utter abhorrence and revulsion among the public. As Park refuses to resign and continues to put forward shameful excuses, the institutional process of impeachment continues to prevail, as for the moment it is the only way to remove her from office. This might be due to the limitations of the grassroots mobilizations, but the candlelight protests still have strength and influence, and a profound significance. This is a highly unique experience, even for those South Koreans who have lived through previous political upheavals: the April Revolution in 1960, the Gwangju Uprising in 1980, the June Uprising in 1987, and the Candlelight Protests in 2008. At each conjuncture, popular participation expanded dramatically, but the 2016 mobilization is still the largest and most prolonged protest movement. 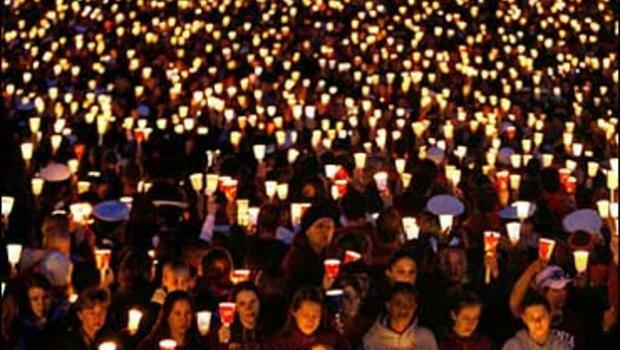 Candlelight vigils began in 2002 as a new form of popular struggle, when people protested the death of two high school girls run over by a U.S. tank. In 2004, when conservative politicians impeached president Noh Moohyun, the candlelight protests reappeared and punished the pro-impeachment forces. And in 2008, candlelight protests continued for 6 months in opposition to the Lee Myungbak government’s policy of importing contaminated U.S. beef, but in much more diverse and creative forms. Then in 2016 the candlelight protests re-emerged on an unprecedented scale. Technically, the June Uprising in 1987 ushered in the era of democratization. However, institutional democracy remained incomplete and failed to live up to popular expectation for real democracy. The turn to authoritarian neoliberalism under conservative governments has destroyed the fragile roots of democracy as well as the economic life of popular classes, hence the continued reemergence of popular struggles to expand and deepen democracy and for humane and decent life. Many pundits and activists are at a loss, because the candlelight protests look like a de facto revolution, but it seems another faction of the ruling elite will reap the fruits of the revolution. Some old minds have demanded to not exaggerate the importance of these less than militant protests, while others have praised the revolution as a perfect model of peaceful protest. However, both sides fail to explain what this candlelight revolution/protest represents. At the same time, it is also true that the exact meaning and influence of this phenomena is yet to be fully revealed. The coalition of social movements that organized the national day of candlelight protests over 10 consecutive weekends have declared January 2017 as the month for popular debate. It is an attempt to revitalize popular discussion on the political direction of the candlelight struggle by further deepening direct, participatory democracy – the politics of the square. Theoretically, the classic Marxist explanation of bourgeois and proletarian revolutions needs to be revised. Throughout the 20th century, following the Russian Revolution in 1917 and after the Cold War, the revolutions we witnessed divergent from the classic model of social and political revolution. For instance, the 1989 revolution was at the same time a revolution and a counter-revolution. Despite the proclamation of the “end of history”, de facto democratic revolutions have broken out in Eastern Europe, North Africa and Middle East, and even Europe and the U.S. In all these, the significance of democracy runs deeps. Thus, considering that the failure of the project for 2oth century socialism was due to an insufficient understanding of capitalism and deficiency of democracy, the broadening of popular struggles for profound, thorough democratization has opened up paths for a new project for 21st century socialism. Capitalism in its neoliberal version has proven to be a total failure given the multi-dimensional crises it is facing. Crisis after crisis is pushing people towards revolution, and in each instance they have mobilized with a democratic compass that has helped point the way forward. Globally, the 99 percent are getting smarter and stronger. So far what is certain is that popular struggles for democracy and emancipation are growing everyday and that democratic revolutions are reappearing, seeking to be completed while going beyond the conventional conception of linear historical development. Achieving this would be a huge achievement for any political and social movement. Youngsu Won is coordinator of the International Forum in Korea and a regular Links contributor.